Jacques Derrida was a French philosopher, born in French Algeria on 15 July 1930. Well-recognized for introducing a semiotic analysis form which he called ‘deconstruction’, Derrida is one of the major philosophers concerning postmodern philosophy and post structuralism. The year was 1967 when Derrida actually emerged as a philosopher of importance to the world. He published three of his important texts, Writing and Difference, Of Grammatology and Speech and Phenomena. Later he published The Postcard, Glas, Dissemination and The Gift of Death. In Of Grammatology, we see the beginnings of unique thoughts regarding deconstructions as he challenges the speech/writing opposition, a phenomenon which had greatly preoccupied Western Philosophy. Derrida also presented his political philosophy in the 90s, in works such as Force of law and Politics of Friendship. Politically, he focused on existing democracies, sovereignty, and the democracies to come. The philosophy of deconstruction was developed by Derrida as a result of an influence from a number of great thinkers and philosophers, including Heidegger, Nietzsche, Freud and Saussure. As Derrida distanced himself from the existing French schools of thought in philosophy of the time (structuralism, phenomenology and existentialism), he presented the unique ideas under the name of deconstruction in the 1960s. Deconstruction is not entirely negative, but rather a critique of the traditional Western philosophy. It aims to analyze, and then undermine the myriad binary oppositions that dominate our thinking patterns. Deconstruction is bilateral; literary and philosophical. In its literary aspect, deconstruction aims at interpreting text, and invents where necessary to search for hidden alternative meanings. Philosophically, it aims at the ‘metaphysics’. Deriving from Heidegger, Derrida believed that metaphysics has influenced all of philosophy, starting from Plato. Metaphysics advantages one term of each opposition over the other, and deconstruction targets specifically this conventional way of thinking. It also says that some things can side with neither of the dichotomies. This idea of ‘undecidability’ is reflected in the later works of Derrida, as he applies it to the acts of hospitality, giving presents and doing favors, as such instances have both possible and impossible conditions. Therefore, gift-giving and hospitality remains undecided; it can be either possible or impossible. A visible shift from deconstruction to a focus of literature and emphasis on play of meaning and literary work is clearly evident in Derrida’s later works. He also tackled many other issues, worth mentioning among which are Marxism (in Specters of Marx, the Work of Mourning and the New International) and psychoanalysis (in The Postcard (1980)). Aesthetics, ethics and legal issues were also dealt with in Derrida’s essays. He also answered questions regarding Jews and Jewish tradition in his autobiography ‘Circumfession’ and in Shibboleth. As deconstruction relates to both literature and philosophy, it has remained a highly influential topic in various fields, such as literary theory, culture studies, linguistics, sociology, anthropology, psychology and even feminism. As the inventor of deconstruction, Derrida has left behind a legacy of himself. 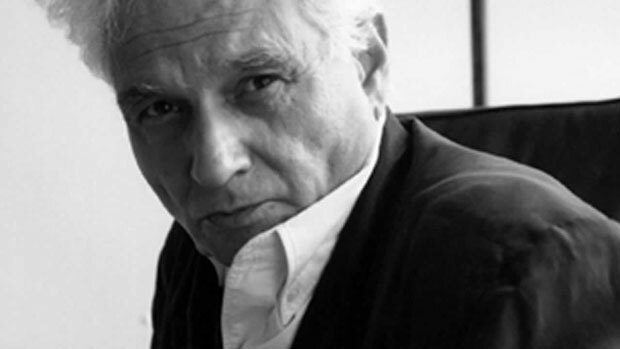 Collectively, Derrida published forty books, hundreds of essays and various public presentations. He impacted with his thoughts the fields of historiography, linguistics, queer studies, psychoanalysis, sociolinguistics, political theory, architecture (as in deconstructivism), music and art. His works are also famous in countries where continental philosophy is of some influence, such as places in South America and Continental Europe, especially in debates that surround epistemology, ontology, ethics and hermeneutics. Jacques Derrida died in Paris on 9 October 2009.